U13 Scholars MHRMLarrow-rightCreated with Sketch. What a great end to the season with a 6 nil victory, playing arguably the best “total football” we have seen this season from the Scholars, and was vs this years Div 2 Cup Finalists Risden. It really does show how far the boys have come, after earlier in season winning narrowly in a tight game, and this time it was just one way traffic. Consideration must be given to the fact that Scholars were pushed up to Div 2 this season, and playing in a very competitive league. Beating virtually every team on either the home and away fixture, being able to be competitive in every game and just falling short in making the Div 2 Cup Final. It was a real pleasure from the start in the way the ball was buzzed round the pitch, with the control and movement being exceptional. Their work rate was very just unbelievable, and simply smashed Risden out of sight. Risden rarely had much of the game, however, whenever they did breach into dangerous areas, our ever dependable Sir Bradley Monks was there to pull off 2 / 3 really good saves, and we could see his continuous improvement in how he commanded his area with control, speed and his louder and louder vocals. Again, as always his distribution was brilliant, often creating attacks from his precision throws to reach the half way line – wow! This is why we know we’ve the best GK in the league and other leagues! Saying that, we believe we have the greatest outfield players too, with all contributing so much whoever was playing vs Risden and the whole squad across the season. Our defending again was very good, being led by our pot of gold carrier “Matthew Goldwater”, who was again resolute with his awareness and well timed tackles. As always, he had an excellent supporting cast in the elegant Charlie Baker who has added sternness to his game, and not forgetting the crafty/cheeky/talk-a-thon Alban Tiplady who kept their speedy players at bay, and smashed in a wonderful left footed 35 yard strike – he would like to play vs Risden every week as reminded everyone quite a few times of a similar strike with his other right foot back in Sept vs the same opposition. In midfield was the wall of Nathan Charles, Luis Culora and Kyle Williams, who between them won almost every tackle, turned defence into attack and were just simply immense. They took a stranglehold of midfield and the Risden players did not know whether they were coming or going. Their passing and movement was a joy to see, and they just battled for every ball. Glad to see Kyle getting on the scoresheet again with a well taken goal. Up front the team had the comfort of an outstanding front 4 with Harry Green playing in the hole, and 3 great forwards in Jack, Rahim and Charlie Philippou. All worked tirelessly, all played a part in assists and were rewarded with great goals from Jack 1, Harry 1 and Rahim 2. It was quite simply a lesson in forward play! A big big well done to Charlie P, who combined playing up front with a midfield role too, and was a well deserved man of the match. Well done Charlie!! Well done to all!! 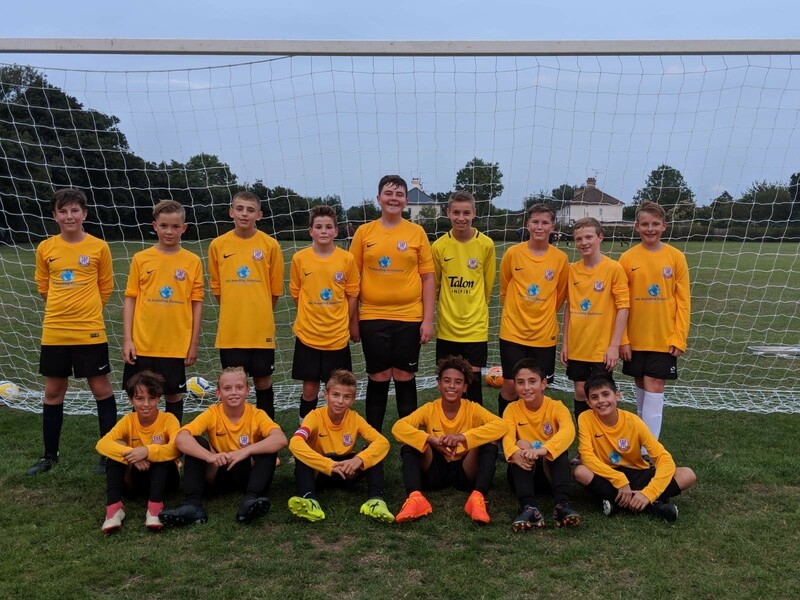 !, especially our Bishop Stortford lovelies with the refreshments and Stu Baker doing a great lino job, and also as always to all the parents/friends for such great support – THANK YOU.